Grey Owl Golf is an established company with 10 years experience in the Golf holiday business. Their business is golf holidays in Spain, Italy, France and Belgium. 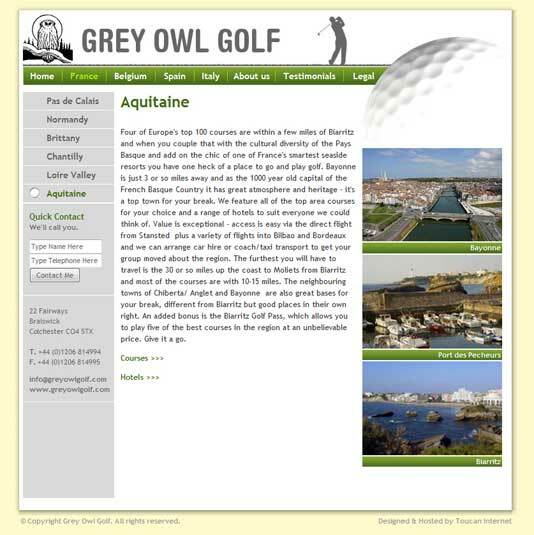 The site clearly explains the destinations, courses and accommodation and importantly the passion that Grey Owl Golf have for excellence.